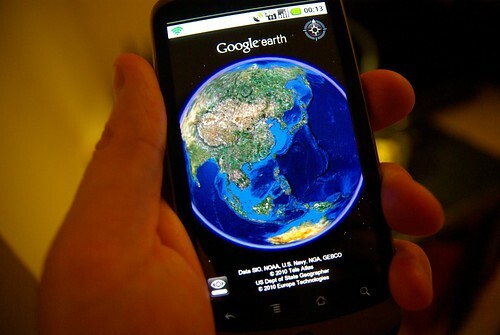 Since February 22nd, Google Earth is available on certain Android handsets, including the Nexus One. Just like Google Goggles, it's a neat app that you want to show all your friends without a Nexus One -- but not a terribly useful one. I wrote a review piece for Vox Asia this week, detailing my thoughts on the N1. This page contains a single entry by Cedric published on March 3, 2010 11:46 AM. Nouveau plan données + streams audio CBC & Radio-Canada was the previous entry in this blog. 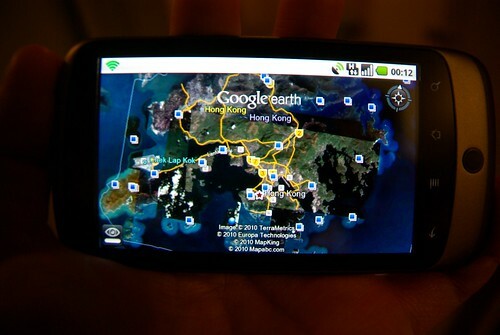 SmarTone's really positionning itself as the Android vendor in HK is the next entry in this blog.